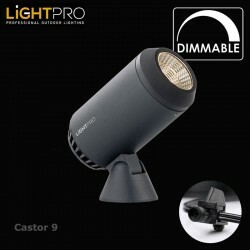 Lightpro Spotlights There are 14 products. Lightpro outdoor spotlights are perfect for lighting foliage, trees and items of interest in gardens as well as more commercial settings. 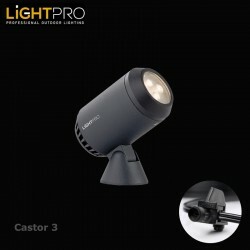 The 12v Lightpro system is plug and play. 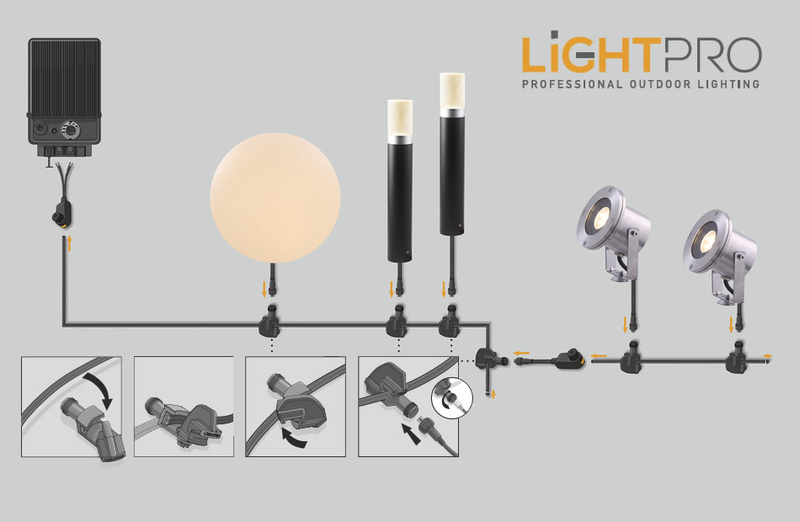 Simply connect your Lightpro cable to your Lightpro transformer and connect your Lightpro spotlights to the cable using Lightpro's award winning screw connector. Lightpro's spotlights are supplied with a spotlight spike for borders and mounting plates for concrete. fence posts, garden walls and decking areas. The contemporary design would suit the most modern of gardens and roof terraces. In fact any outdoor space you need to illuminate. 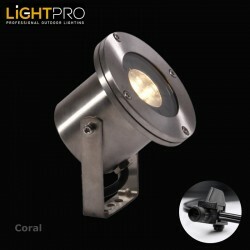 The Lightpro Coral 12V outdoor / garden spotlight is IP68 > 0,5m. Which makes it ideal not only for lighting you garden or outdoor space but also for use in and around water features. 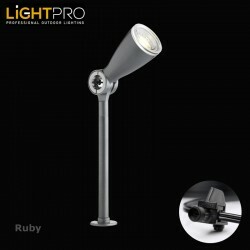 Beautifully finished the Ruby 12v garden spotlight is one garden spotlight that would suit the most contemporary of gardens. 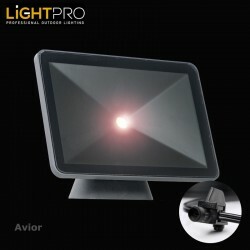 Easy to install and adjust to suit any lighting situation. The Lightpro Emerald 12V outdoor / garden spotlight is perfect for lighting borders and features in a garden or landscaped area. 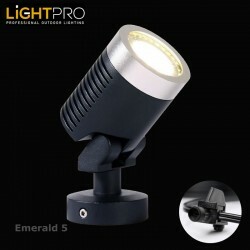 The Emerald spotlight is also available in 3W and a larger 5W version. The Lightpro Emerald 3 3W LED 12V outdoor / garden spotlight is perfect for lighting borders and features in a garden or landscaped area. 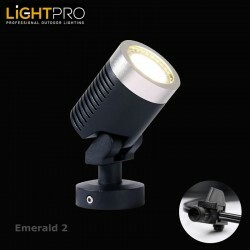 The Emerald spotlight is also available in 2W and a larger 5W version. The Lightpro Emerald 5 5W LED 12V outdoor / garden spotlight is perfect for lighting borders and features in a garden or landscaped area. 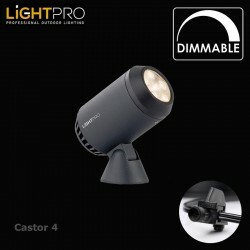 The Emerald spotlight is also available in smaller 2W and 3W versions. The Lightpro Nova 3 3W LED 12V outdoor / garden spotlight is perfect for lighting borders and features in a garden or landscaped area. 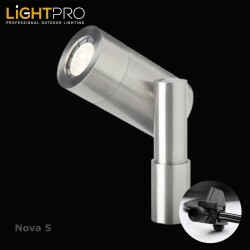 The Nova spotlight is also available in a 5W version. The Lightpro Nova 5 5W LED 12V outdoor / garden spotlight is perfect for lighting borders and features in a garden or landscaped area. 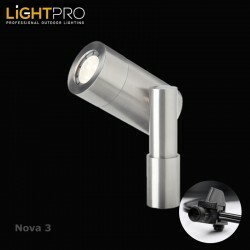 The Nova spotlight is also available in a smaller 3W version. 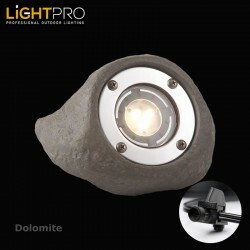 The Lightpro Dolomite is a 3W rock light suitable for using in and around water features to a depth of half a metre. The Dolomite alternatively can be used as a normal spotlight anywhere. 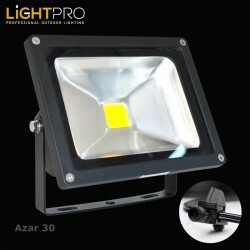 The Lightpro Azar 30 is the larger of the two floodlights in the Lightpro range.